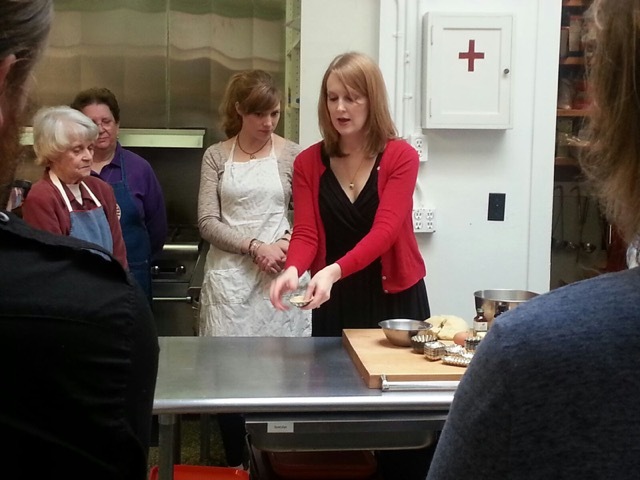 When we bake with love, that’s when beauty comes into our creations, I told a sold-out crowd of students at the Nordic Heritage Museum on a recent Saturday. They were there to learn how to make a variety of Norwegian coffee treats, each one of the recipes beautiful or intricate in its own right. My objective in teaching is for students to leave a class with the confidence and ability to recreate the dishes at home. Teaching the steps of a recipe is only part of the equation. One of the most important parts, I believe, is the heart. But until that Saturday in January, I hadn’t been able to fully articulate what makes a recipe work. 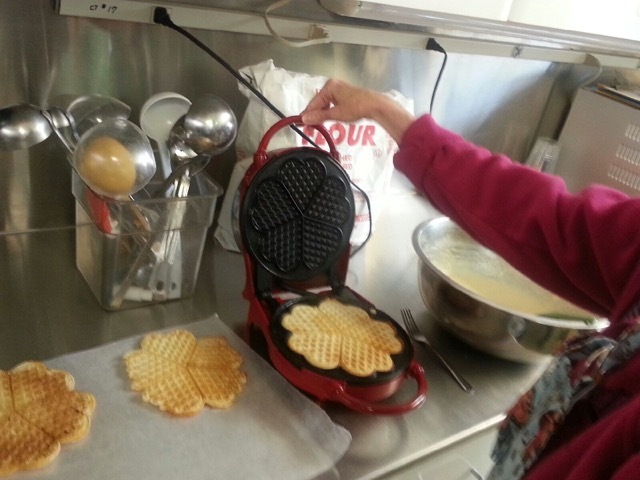 Butter, sugar, flour, eggs–I had been playing around with that mix of ingredients in the weeks leading up to the class, making heart-shaped waffles (vaffler), prince cake (fyrstekake), and sandbakkels. I had studied how a handful of simple ingredients could yield such dramatically different results with just a few variations of ingredients. In class I kept encouraging the students to just give it a try. Just put the batter in the waffle iron and practice–you’ll soon get a feel for how much to spoon in and how long to cook the waffle. Just make sandbakkel after sandbakkel, getting used to the feeling of pressing the dough into the crevices of the little tins until it’s as thin as you think it can be. 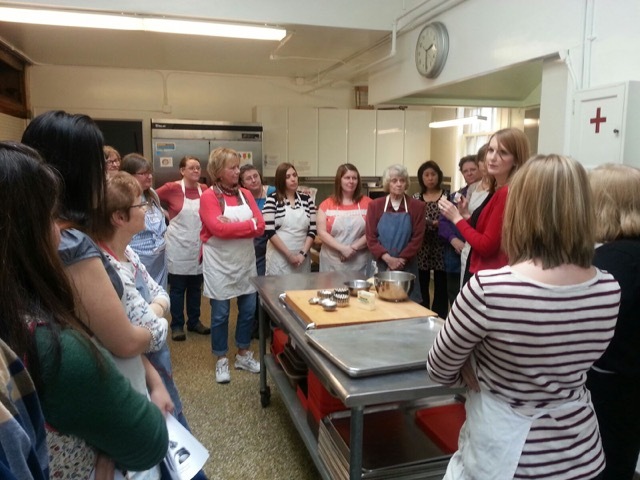 Then when it was time to talk about the fyrstekake–an almond cake with a shortbread crust baked in a tart pan–I assured everyone that it really is easy. Don’t stress out, I told students time and time again as they oohed and ahhed over the cake. Baking isn’t fun if you do. When it comes to crafting the crisscross or lattice topping that gives the fyrstekake a hint of elegance, you can get frustrated when the soft dough warms up too much and sticks to your work surface as you cut it into strips. Or you can roll with it, doing the best you can, and putting your heart into what you’re doing. Nothing about Norwegian cooking is fussy, as far as I’m concerned. Even the beautiful fyrstekake allows for grace, the filling puffing up into the top layer and rounding out the rough edges. When you bake with love, that impacts the way you approach the food. It works its way into each cup of flour measured, the care taken in beating sugar into eggs, the way the dough is manipulated into something of beauty. I’m as much of a perfectionist as the next person–it was my downfall as a child trying to strike a balance between booksmart and just being a kid–but when it comes to baking, I do it because I love it, because I love people. I do it because I love watching how a few simple ingredients can be transformed into something that feeds and nourishes others–their stomaches and their souls. Sure, care and precision are important. But love is essential. 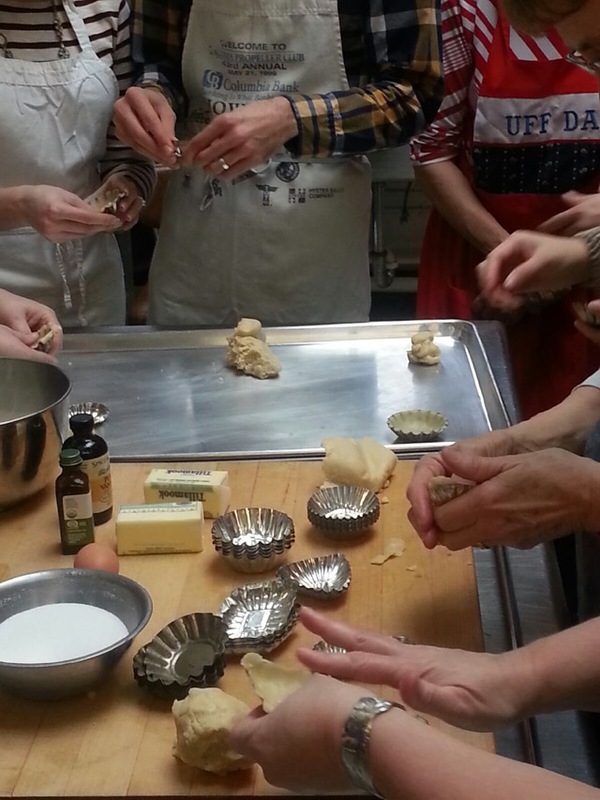 Thanks to each of you who attended the class last month–it was a joy to teach you to make some of my favorite Norwegian treats. I enjoyed meeting each and every one of you, and I hope I inspired you to work some of these recipes into your own homes. 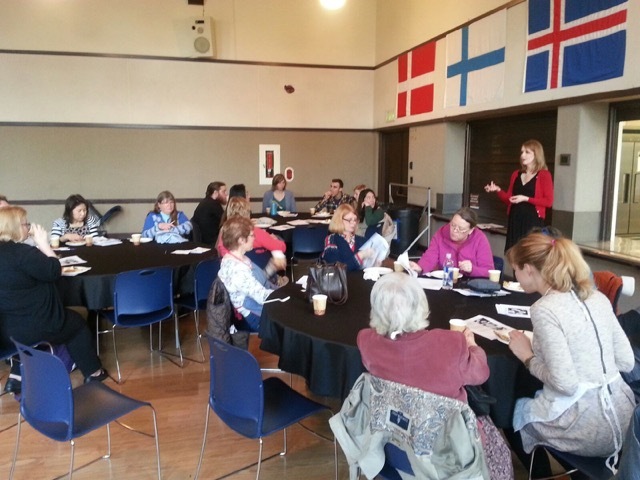 If you’re in the Seattle area and interested in learning more about Nordic baking, be sure to check out the rest of the Nordic Heritage Museum’s coffee treats series. 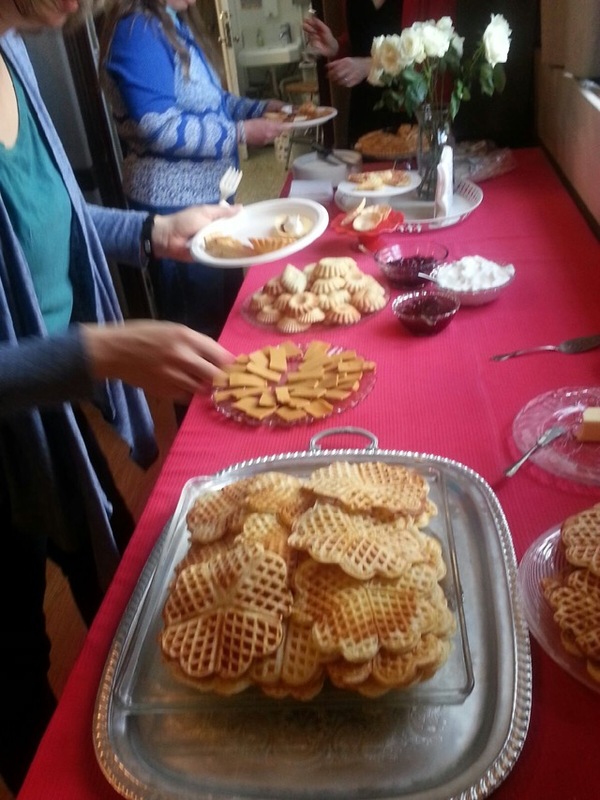 I kicked it off last month with Norwegian coffee treats, and the museum continues with recipes from the other Nordic countries in the months to come. Oh how I wish I lived in the Seattle area and could attend your classes. I would love that! I enjoy baking many Norwegian sweets. It just reminds me so much of my grandmothers and my mom. I always want to keep up the Norwegian traditions. I learned how to make lefse, sanbakkles, krumkakke, fattimond, rommegrot, spritz, and other goodies. My Mom taught me all the tricks and tips. Her Dad was Norwegian, my Dad was full Norwegian. I lived there for 40 years then my husband retired from the Air Force in Florida. I still make most of these down here. Up north I’d make lefse and cookies to sell because no on knew how to make these things. This is a dying art of baking/cooking that needs a boost. Our Daughter is a Chef in Virginia and incorporates these goodies into her menus from time to time. Thanks for keeping up the tradition in your classes. It’s a rewarding gift. Becky, thank you so much for sharing your story. While I love Norwegian food, I love the people that I’ve shared it with even more. Your comment inspires me to keep at it!